Master the whys & hows of Medical-Surgical Nursing. Here’s everything you need to know to care for adult medical-surgical patients and pass the NCLEX-PN®. Easy-to-understand guidance helps you confidently grasp the principles, concepts, and skills essential for practice. 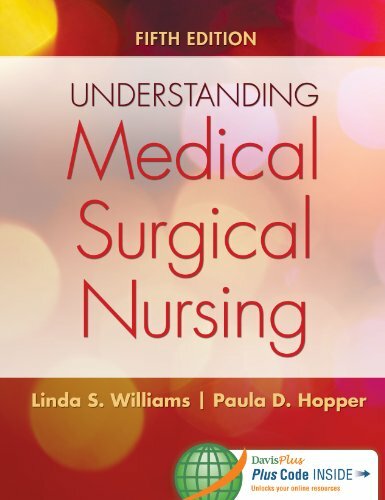 Rely on the Study Guide for Understanding Medical-Surgical Nursing for even more practice! Each chapter corresponds to a chapter in the text. You’ll find critical-thinking exercises • matching and true/false tests • word scrambles • crosswords puzzles • vocabulary review exercises • and NCLEX-PN® style questions that will prepare you for classroom and professional success. Click here for a preview of the text and resources. Looking to bundle your text with an EHR? Learn more here!